After a long day of classes, studying, homework, work, and responsibilities, I like to go home and watch easy TV, which are funny shows that don’t make you think too hard. Sure, I love a true crime or drama every now and then, but easy TV remains a constant favorite genre of mine. I have assembled a list (in no particular order) of my favorite funny TV shows that can be found on Netflix and Hulu for a good binge-watching session. This show has been my latest obsession. With lovable characters, philosophy lessons, (I know right, how can this show possibly make philosophy likeable? ), and a hilarious script, “The Good Place” is just brilliant. Even though every episode is basically a morality class, the show makes these concepts easily understandable and relatable to all. Also, not to spoil anything, but the plot twists are quite clever. “Big Mouth”: brings it back to the good ole days … just kidding, adolescence was not fun at all, but it makes for a good comedic cartoon! Centered around middle schoolers, the show takes us through their experience going through puberty. I’ll spare all the gory details, but I will say that the show is funny and honest. For a cartoon, “Big Mouth” keeps it pretty real. “New Girl” is fresh, funny, and heartwarming. It keeps it light, but the characters’ relationships truly make the show. Jess, a heartbroken woman, moves in with three men she does not know. Through that very Craigslist ad that brings them all together, she found three friends to last her a lifetime. Together, they experience crazy ups and downs, but at the end of the day, they’re all there for each other to make things OK.
Mindy Kaling is hilarious. She was great on “The Office,” but in “The Mindy Project,” she really shines, as she should. Her character, Mindy Lahiri, works as an OB-GYN in New York City with other eccentric characters. With every season, she grows as a person and learns how to do it all as a woman in the 21st century: the definition of girl power! Yes, I combined both shows into one description. They are both unique and deserve equal amounts of credit, but their similarities are too significant to ignore. Both shows are classics. Everyone knows and loves them and for good reason. The character dynamics and relationships in both shows are entertaining and heart-filling. They turn the most boring of places into a show anyone can relate to and love. “Bob’s Burgers” is so simple, yet so good. It is literally a family that owns and runs a burger restaurant, but the characters are hilarious and always seem to get into trouble. All seasons are equally good and the show never declines in quality or entertainment levels. It is probably the easiest watch on this entire list and will remain a true favorite of mine. “Brooklyn 99” takes a different approach to the typical cop show. It strays from the dramatics and focuses on comedy. The characters are all very different, which makes their dynamics that much more interesting. The show is also socially aware and progressive, touching on topics such as LGBTQ rights and gender equality. 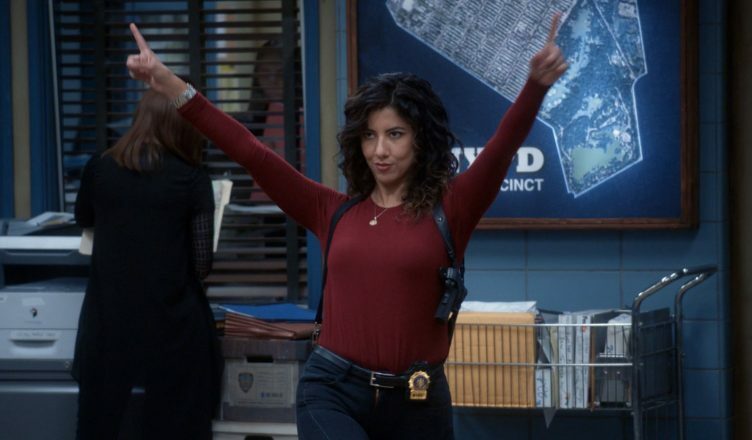 With great characters and unique plots, “Brooklyn 99” is very funny and definitely worth watching. Whenever you find time to unwind and take a break, feel free to watch any of these shows. They are all quite different, but have that same upbeat, “feel-good” energy to them. Take it easy until next time. now many movie lovers are preferring Cinema APK for android devices .. It will allow you to watch movies on andorid devices…even u can get Subtutles ..